The mesh tote is perfect for the beach, for grocery shopping or even to haul smelly sports gear. Any time you need a simple, low profile, stretchy tote, this one is for you! 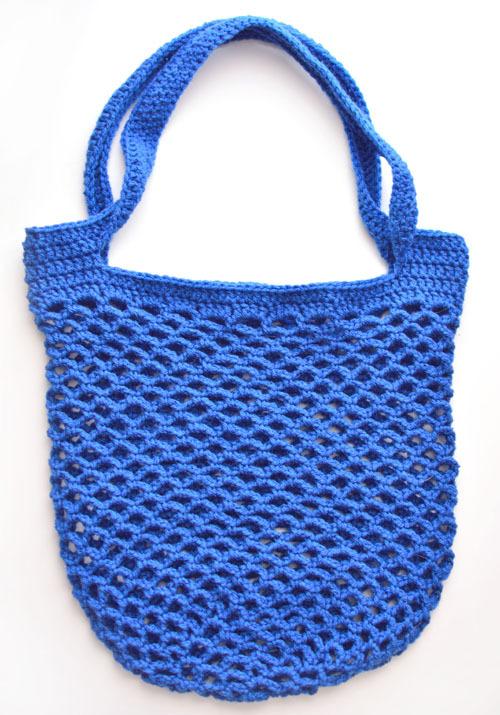 This tote works up super quick with its open mesh stitch pattern and no-sew construction. The tote is crocheted from the bottom up, seamlessly in the round. Crochet a bunch of these totes in no time and have them ready for whenever you need them. This entry was posted on Monday, March 12th, 2018 at 12:00 AM by Rachel Choi	and is filed under Best Crochet Patterns. You can follow any responses to this entry through the RSS 2.0 feed. You can skip to the end and leave a response. Pinging is currently not allowed.